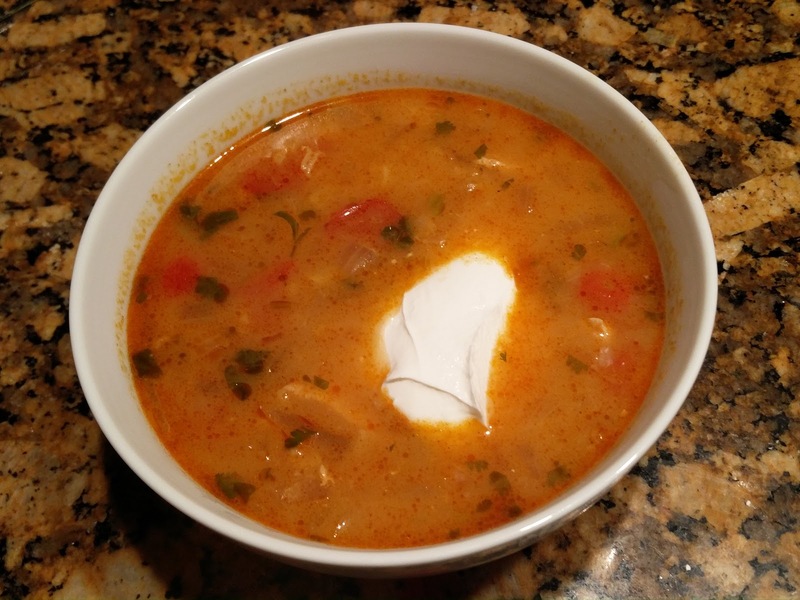 This is a delicious, flavorful soup. It is a great soup for a sick day. it is light enough but still has a ton of flavor and has great lime flavor. 1/2 bunch fresh cilantro sprigs, tied together with kitchen string. 1. Heat oil in heavy large saucepan over medium-high heat. Add onion and garlic; sauté until slightly softened, about 3 minutes. 2. Add chili powder; stir 1 minute. Add chicken; stir 2 minutes. 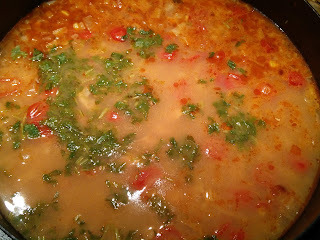 Add broth, corn, tomatoes and 1/2 bunch cilantro sprigs to saucepan; bring to boil. 3. Reduce heat and simmer until chicken is cooked through, about 10 minutes. Discard cilantro sprigs. Bring to simmer before continuing. 4. Add chopped cilantro and lime juice to soup. Season with salt and pepper. Garnish with sour cream. Alona loved the lime flavor and the rich flavors. Nick thought this was little bit too spicy, but he still liked it. Kaspian refused to touch this one too! Maybe we would use a little less spice next time but overall it was great.